Is Al Lettieri a household name? Admittedly no. 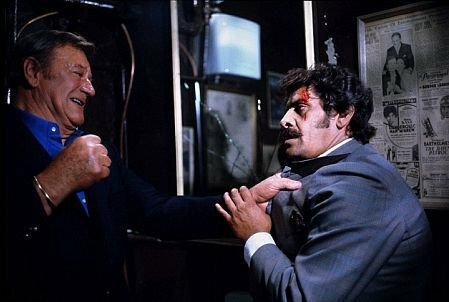 However if you know your gritty seventies gangland films then you’ll know the face and like me, might even consider yourself a fan of the brute force he brought to the screen in a career that was all too short. Just as Al was becoming the go to Mafioso styled leading man with a penchant for violence, his life was cut short at the age of just 47 due to a heart attack. A huge opportunity was lost for fans of the genre. With Martin Scorsese on the rise, Lettieri would have fit quite nicely into the world of Raging Bull, Goodfellas and other titles in the not too distant future. As it stands, there are only a handful of titles to Lettieri’s resume but thankfully a good number of his performances are played in high profile films that see him play opposite four of the most recognizable names in cinema history. Taking advantage of the annual Villain blogathon hosted by Kristina of Speakeasy, Ruth of Silver Screenings and Karen at Shadows and Satin, I’ve settled on highlighting these four features where Al is cast as “the heavy” taking on our iconic foursome and then some. At the thirty five minute mark of Coppola’s classic film, the wedding has ended, the horse is dead and it’s time for family business. 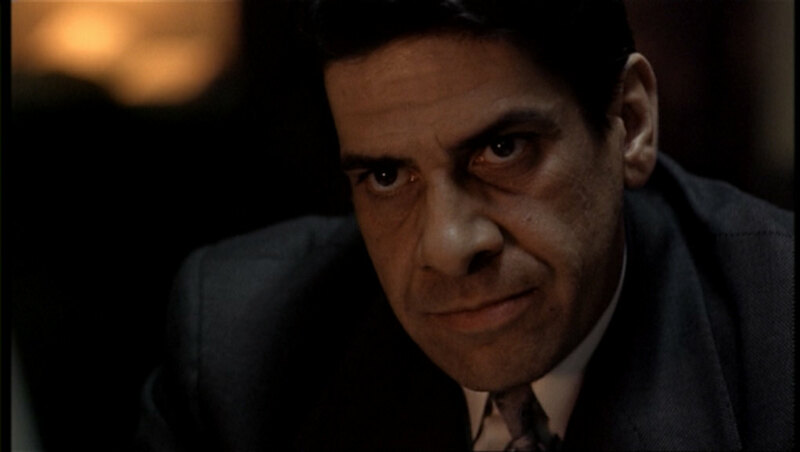 Al Lettieri’s Sollozzo enters the story and the gentleness of the film with the underlying threat of violence is going to explode on the screen when Lettieri meets Luca Brasi. 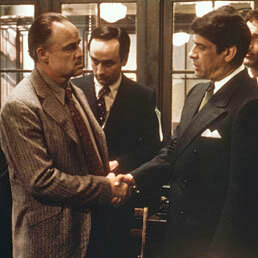 Initially, Al who is known as “The Turk” comes to Brando’s Don seeking a union in the narcotics industry. He needs capital and protection which Brando can supply. In return he offers a healthy cut of the take. The meeting is peaceful and professional but when Brando turns him down, he’s made an enemy on a slow burn. Within ten minutes of his character’s introduction, all hell breaks loose when he leaves Luca sleeping with the fish and Brando full of lead on the street. Just as Al believes he has the upper hand while attempting to get Robert Duvall’s Tom to look at it as “good business” he’ll discover that Brando is still alive. His attempted take over isn’t going to run as smoothly as he thought and now he’ll have to contend with James Caan’s hot headed Sonny and Al Pacino’s icy cold Michael. Just as he had brought the screen violence to life when plunging a dagger into the hand of Luca, Al will exit the film just as lethally when Pacino joins the family business and eliminates the Corleone family’s number one enemy alongside Sterling Hayden in a quiet Italian diner. His scene with Pacino in the diner is spoken in Italian and Lettieri has this devilish look about him offering up an agreement that is sure to claim Pacino’s soul. Long before his appearance here, Al Lettieri had been in Brando’s inner circle. Al had done some television from the fifties onward up to this point and had actually produced the underrated 1969 Brando feature, Night of the Following Day. Supposedly his own real life connections to the underworld served as a learning tool for Marlon’s famed performance as Don Corleone. Lettieri would even have another go the following year in a Godfather knock off from Richard Fleischer titled, The Don is Dead. 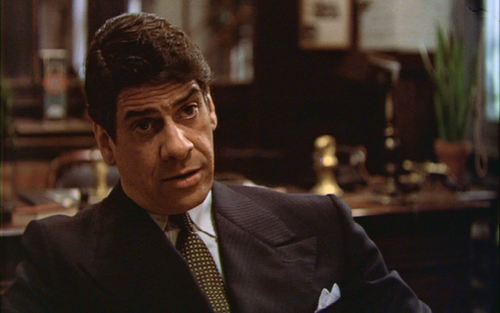 Had Al’s character in The Godfather won the battle with the Corleone family, this film could have served as an extension of whatever became of Sollozzo. As it is, he plays Santiago, the number one underworld figure on The Duke’s hit list and once again dabbling in the narcotics business. While his on camera time is less so than the other films featured in this look towards Al’s villains, it’s his character that drives the revenge minded Duke the entire running time of this John Sturges feature. McQ opens impressively with a lone gunman targeting two police officers walking the beat in the early morning. Leaving both men gunned down in the streets, we will soon discover that our killer is actually a plain clothes detective. Moments later he’ll be the next victim, cut down with a shotgun blast. Someone is tying up loose ends. It turns out that this plain clothes cop was Wayne’s long time partner on the force. No sooner does Duke get word of his partner’s shooting and he’s wanting all files pulled on Lettieri and his whereabouts at the time of the shootings. 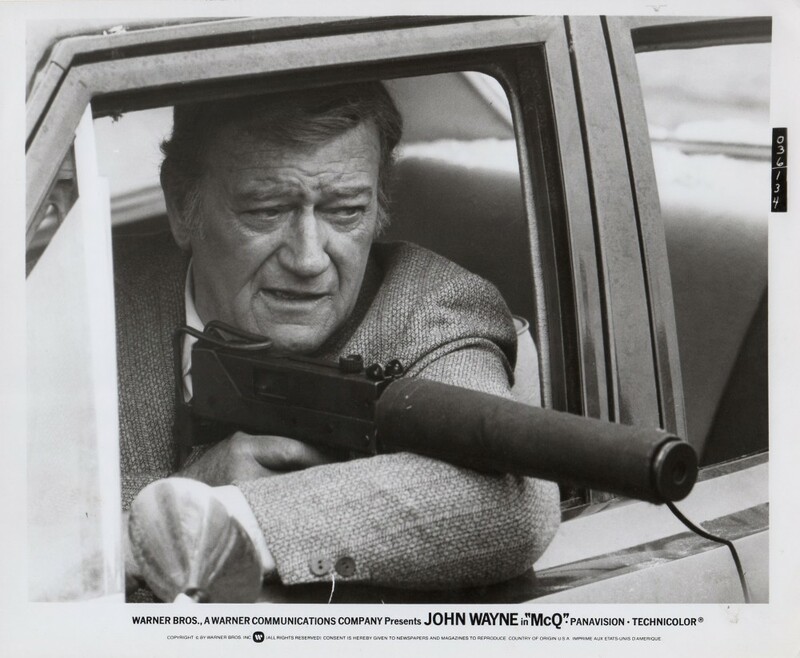 Just to kick off a little John Wayne action, an attempt is made on his life as well resulting in one hell of a long distance handgun shot in return, cutting sown his would be assassin. Duke plays it cool and rides off in his two door 1973 Trans Am green coupe as opposed to a tall steed. Lettieri is a suit and tie criminal with plenty of pull. That doesn’t stop Duke from disobeying direct orders from Captain Eddie Albert and barging in to a men’s washroom to lay a severe beating on mobster Lettieri. Al will get his chance for a little payback in due time. The end result to this skirmish is Duke getting called in by internal affairs which includes Clu Gulager. In true Duke fashion he throws his gun and badge on the desk and walks out on the force. He’ll investigate his partner’s killing off the record with a P.I. badge to make it all legal. Shootouts western style are sure to follow Duke in whatever role he plays and for this outing he lands himself a pretty piece that shoots a lot faster than his western six shooter. Along for the ride is a top notch cast surrounding Wayne that sees him take on a role meant to capitalize on the changing tastes of seventies audiences. Along with the crusty Albert, Gulager and Lettieri, the film is complimented by Julie Adams, David Huddleston, Colleen Dewhurst and Diana Muldaur. When the chips are down, Duke will not only have a crooked cop to deal with but gets cornered by Lettieri and his hoods in an excellent beach front car chase that sees stuntman and future director Hal Needham roll a car in ways we just don’t see anymore up there on the screen. As for Duke vs. Al ……. it’s a late round KO by the long time cinema champ. Still to come are two of my favorite gangland flicks of the 70’s featuring Al Lettieri tangling with a pair of cinema tough guys in part 2 of my Al Lettieri fest but for now please head on over to see the many other villains being featured in this extremely popular five day blogathon that focuses on the characters and stars that make us root all the more for the good guys……..
Al Lettieri Part 2 right here. For a look at my previous contributions to the villains of cinema blogathons, you’ll find the following. The guy had a great face for the movies, memorably lugubrious. I guess The Godfather is the best quality movie he appeared in but I automatically thought of McQ as soon as i saw your title for this piece. He was also good in The Getaway & Mr Majestyk. The latter two you mentioned are my faves where he is concerned. Part 2 on it’s way…. I never remember Al Lettieri’s name. Whenever I see him, I say, “Oh THAT guy!” Well, thanks to your article, I’ll now remember his name. He is the perfect villain. He’s got a face like a mug and charisma, too. Like you said, it’s a shame his career was cut short. Surely he would have had a lengthy career with an impressive filmography. We all have those actors we call, Oh That Guy!” don’t we. lol. Really too bad he passed way so quickly. One of those What if’s? I’m surprised that you haven’t seen The Godfather. Not something we here everyday out in classic film blogland. Perfect opportunity to salute an unsung antihero! 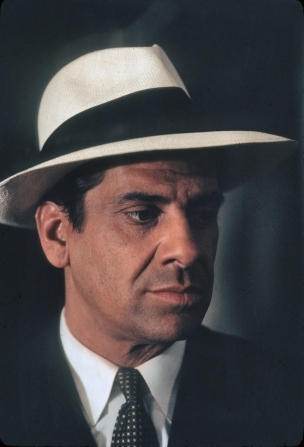 I actually own The Godfather saga and love this character but never explored further to see what else he did. NOw I have a list of new movies to see. He did a few others including a couple western appearances but they weren’t roles that used him to his best value. One of which is The Deadly Trackers with Richard Harris and Rod Taylor. He’s actually a good guy in this one but I think the film would have been better served with him as a baddie. Now, we gotta wait for part 2?! Best of all, I get to revisit a couple faves before writing it up. 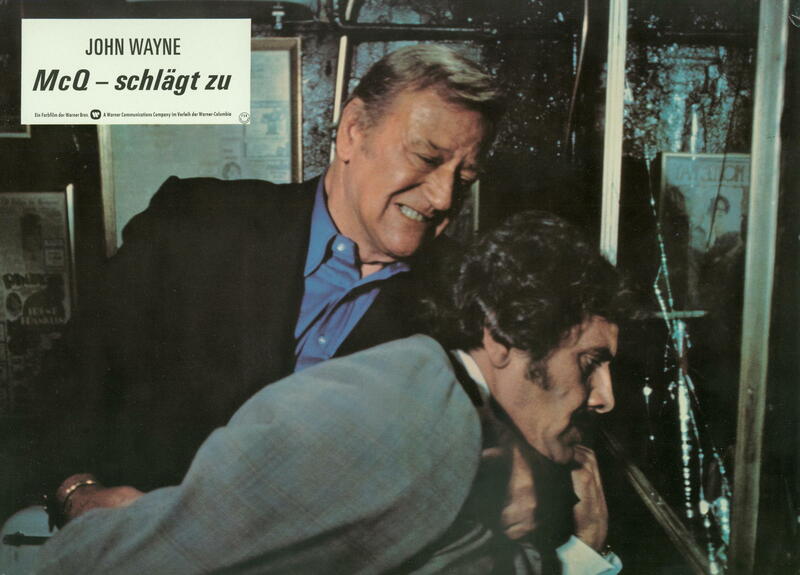 I did not realize that was Solozzo himself in the John Wayne movie. I guess I just wasn’t paying that close attention to anybody but Wayne… Good review. Thanks and he’s not quite as business looking in McQ. The hair is a little longer and that thick mustache adds to the way I always picture him due to The Getaway and Mr. Majestyk. 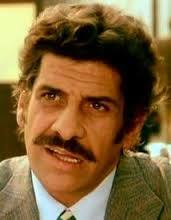 Carry on….. and yes the “stache” really works for Mr. Lettieri. Great blog about Al Lettieri! Thanks for checking these Al posts out. Cinema really lost out with his unexpected passing. He made such an impression on me as a kid watching these films on TV and thanks on that character spelling. Cheers’.